It’s rare I’m feeling gratitude while standing in 7degree windchill while filling a tire that repeatedly goes low. 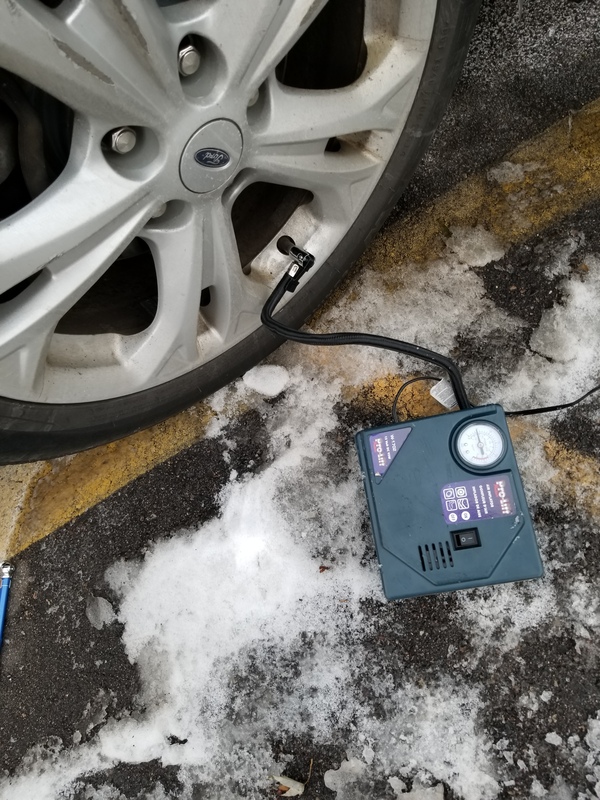 But there I was this morning, freezing my fingers off while I filled my tire with air using a contraption that a very thoughtful Lover loaned to me a while ago so I didn’t need to keep paying money to use the air at a gas station. And all I felt was gratitude. That I could do this conveniently. Outside my apartment, when I needed to and I didn’t have to worry about having enough quarters or if the pump at the station worked. Of course, I still have another tire to do. But I know, when I go outside next, I’ll have the opportunity to do it, because someone was kind enough to make my life a little easier. 1. Sugar cookies. Loads of them. Frosted by lovely children who were covered in colored icing and didn’t want to eat lunch but it’s okay, because how often do we make Christmas cookies? 2. Ice skating. I had to opportunity to go to the Holidazzle festival today with my kids and sister and niece. We saw Santa, and A and niece E went ice skating for the first time. E had a hard time, but A did great. It was super fun…the first time I’ve been on the ice in 20 plus years. I want to go again! 3. Two tired, snuggly little girls who want warm cuddles under blankets on the couch. 4. Homemade pizza for dinner. Yum! 5. Having my niece all weekend. She’s so sweet, and A loves playing with her so it’s almost like having less children. It’s weird how that works. I’m tired, and warmly snuggled with the kitty and girls watching Masha and the Bear. Things are good. Posted in Al-Anon, Alcoholics Anonymous, Divorce, Parenting, Postivity, Recovery, Uncategorized. Tagged AA, Alcoholics Anonymous, Parenting, positivity, Recovery, Thoughts. I really enjoy your writing and positive outlook. Check out my blog! I feel like you might enjoy some of my writings! I’ll definitely do that, thanks! I’m glad you enjoy it.